The HWM stands for Healthy Water Maker, a filtering system which can purify water from a microbiologically and chemically affected sources and turn it into drinking water. 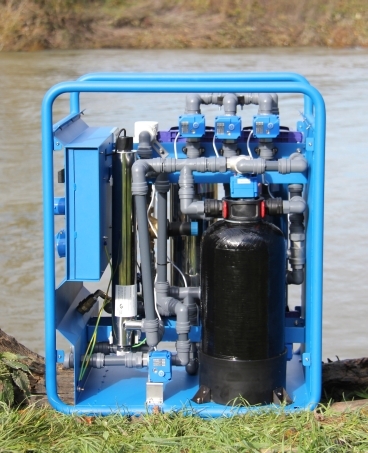 It has been developed by Artos Aqua to help solve the problem of safe drinking water in Africa. Although made with the use of advanced technologies its mechanics are very simple and durable. Heavy duty design makes HWM ideal for on-site application. HWM removes all visible particles, bacteria, viruses and all other substances hazardous to health, yet it leaves all the healthy minerals in the water. optimal performance also under heavy loads. The system has been tested at the Sanitary Chemistry Department and the Sanitary Microbiology Department of the Institute for Public Health Slovenia. Purification of drinking water is a very demanding task and can only be carried out with appropriate technology. That’s why the HWM filtering system has been developed by applying the latest technologies. The HWM system can purify microbiologically and chemically affected water to the level of purity where water is safe to drink. 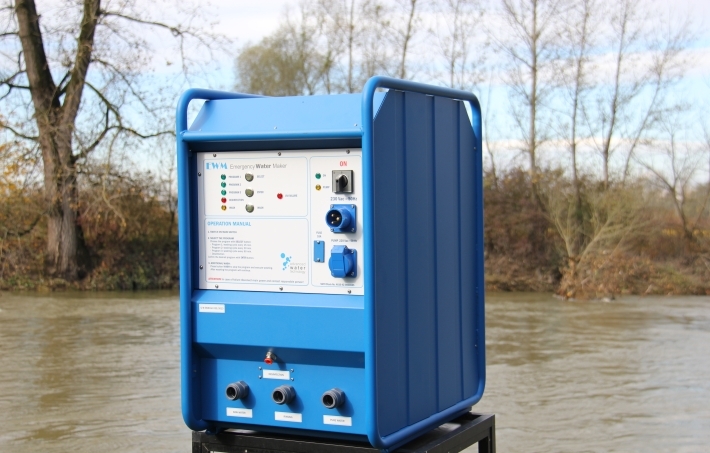 The system is simple to use, ideal for “on-site” application and does not require an expert to operate it. Water purified by HWM meets the most stringent global health standards. AS IT RETAINS ALL THE MINERALS. 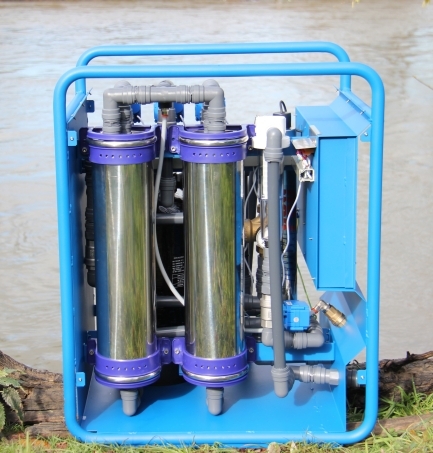 As a result of the combination of micro filters, ultra filters and special filtering media as well as an UV sterilizer, the HWM filtering system does not remove only visible particles from the water but systematically eradicates bacteria, viruses and removes hundreds of health hazardous substances. Source of raw water is natural water such as: lakes, rivers, streams, rainwater. 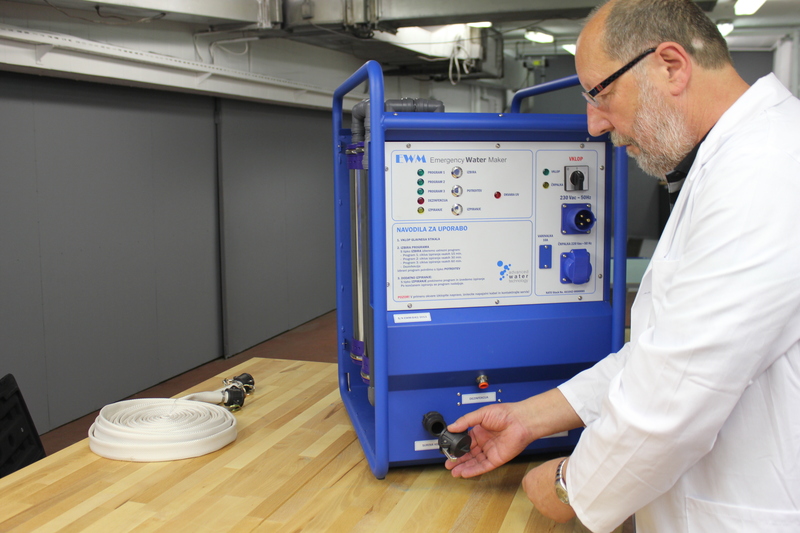 HWM uses external pump to ensure adequate working pressure which is necessary for proper functioning. Source of raw water is local water supply network. 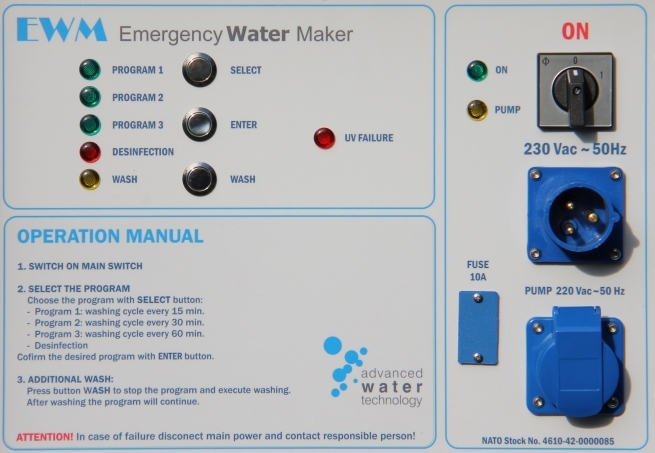 HWM is connected directly to a water supply network without the use of external pump. Water pressure in the network must be at least 3 bar (300 kPa or 43,5 PSI). Multilevel filtration system is composed of centrifugal _filter, ultra_filter-modules, different filtration agents and UV sterilizer. Treatment of water includes several physical processes and separation processes with a result of removing all the impurities from water. These impurities can be particles or dissolved substances. Mechanical _filters stop all bigger particles. Dissolved organic impurities bond with surface of filtration media on the basis of molecular attraction forces. UV rays destroy micro organisms. KDF (Kinetic Degradation Fluxion) is redox agent that removes heavy metals with oxidation reduction. The disinfection of drinking water is the last stage in processing water prior to distribution. This procedure represents the elimination or reduction of pathogenic micro organisms in water to levels, when the micro organism content does not represent a potential hazard for infections. The microorganisms which have to be removed or eliminated from the water before its use are: bacteria, spores, viruses and protozoa. The resistance of such organisms varies and depends on the concentration, the disinfection method, type and quantity of the applied disinfection agent, the time of the process and physical as well as chemical properties of water. prevention of new chemical compounds in water (for example formation of trihalomethane when using chlorine based products). The UV STERILISER applied to the HWM system uses a special bactericide bulb operating at a wavelength of 254 nanometers, the radiation dose is 30,000 microwatt per square centimeter per second. The ultrafiltering membrane is resistant, thin and selectively permeable, serving as a molecular sieve retaining all molecules, including colloids, micro organisms and pyrogens, larger than 0.01 microns. By using UV rays, high quality of drinking water can be provided with a minimum consumption of energy. 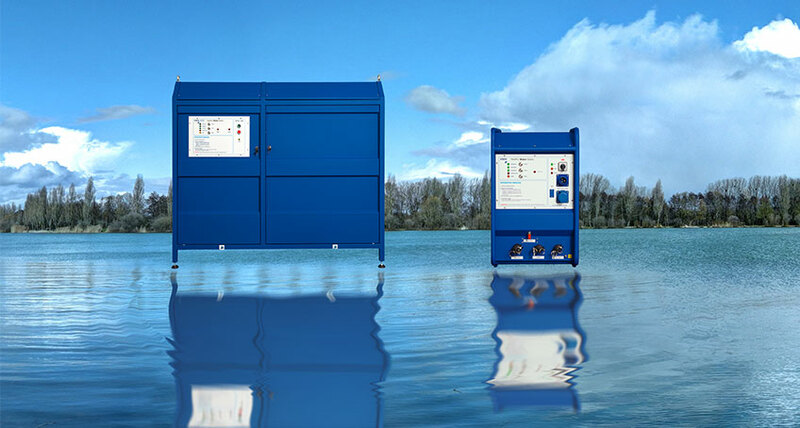 The module features an automatic crossrinsing facility, which enables optimum operation of the system even with heavily polluted water. For UV disinfection of water special bactericide bulbs are used, operating at a wavelength of 254 nanometres, while their radiation dose is 30.000 microwatt per square centimeter per second. The UV-rays of this wavelength are very effective in eliminating various bacteria, viruses, algae spores. The advantages of this type of disinfection are that the water does not require chemical substances to be added in order to prevent the creation of new chemical compounds (as for example the formation of trihalomethanes when applying chlorine based agents). HWM is quick, low budget and low cost solution for providing people with drinking water in small communities where water sources are contaminated and there is no public water supply. HWM is used on a farm for providing drinking water for people and animals and also for irrigation of fields and plantations. HWM is extremely useful and indispensable in emergency situations.